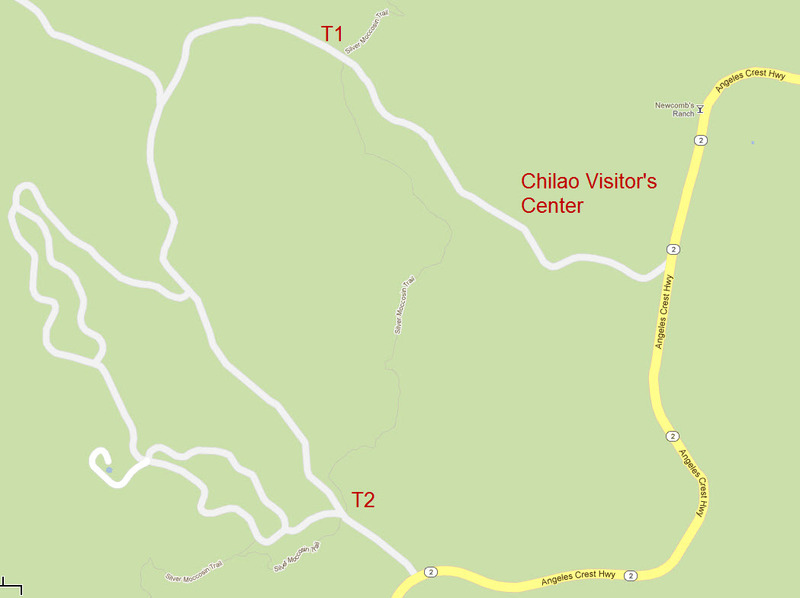 Chilao Trailhead South (T2) vicinity map. Note: Chilao is typically closed from November to April. 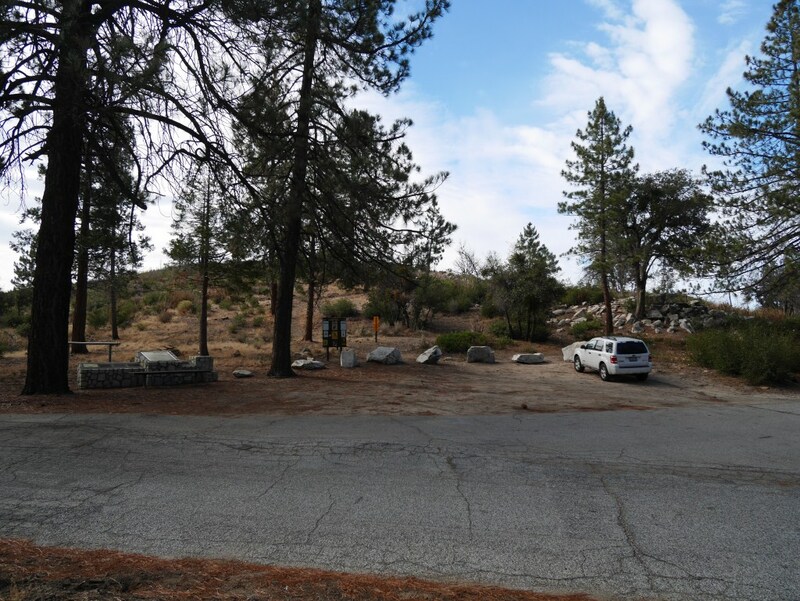 Parking Area for Silver Moccasin Trailhead on the south end of Chilao Flats near Little Pines Loop. Little Pines Loop to Mt. Hillyer Lollipop: 6.8 miles, 1345′ of gain and loss. Little Pines Loop to Mt. Hillyer: 7.2 miles, 1335′ of gain and loss. Little Pines Loop to Vetter Mountain via VMT: 7.4 miles, 1240′ of gain and loss. Little Pines Loop to Vetter Mountain via SMT 9 miles, 1250′ of gain and loss.